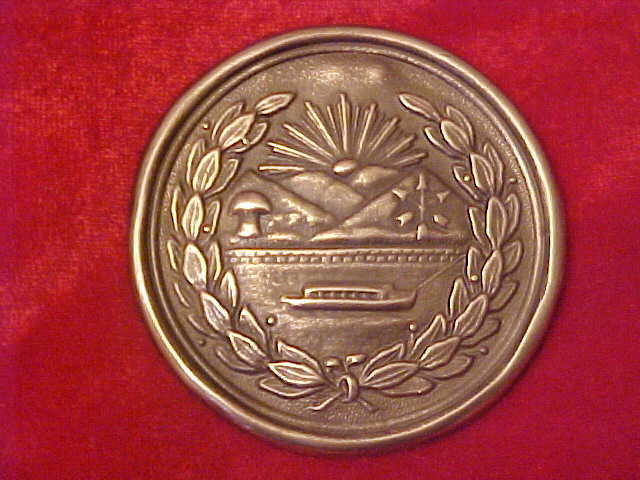 T-36 Ohio Shoulder Belt Plate Original breast plate dug Harrison's Landing, Va.
TG-34 Medium Ohio Vol. 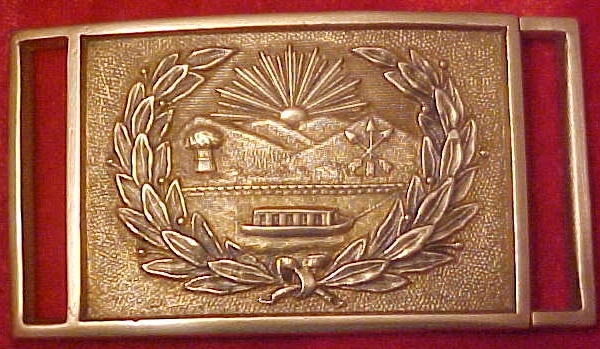 Militia Belt Plate. original found Resaca, Ga. 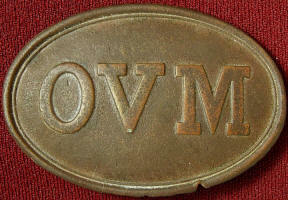 Original Ohio Vol. 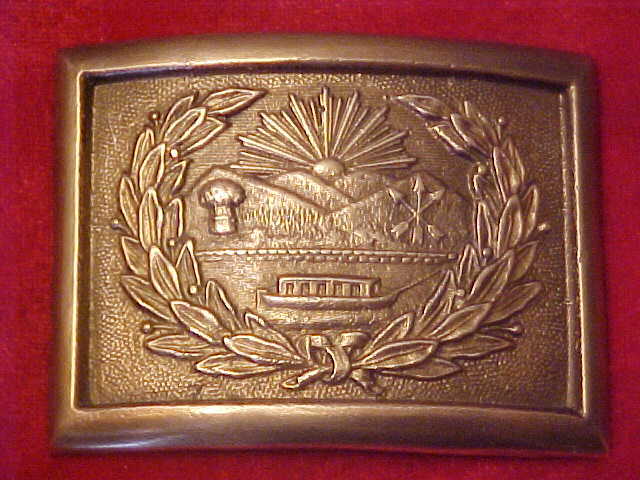 Militia belt plate, medium type. 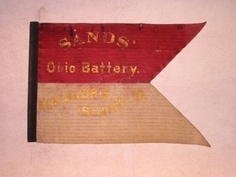 A very rare Ohio displayed in my Cold Harbor Museum collection. 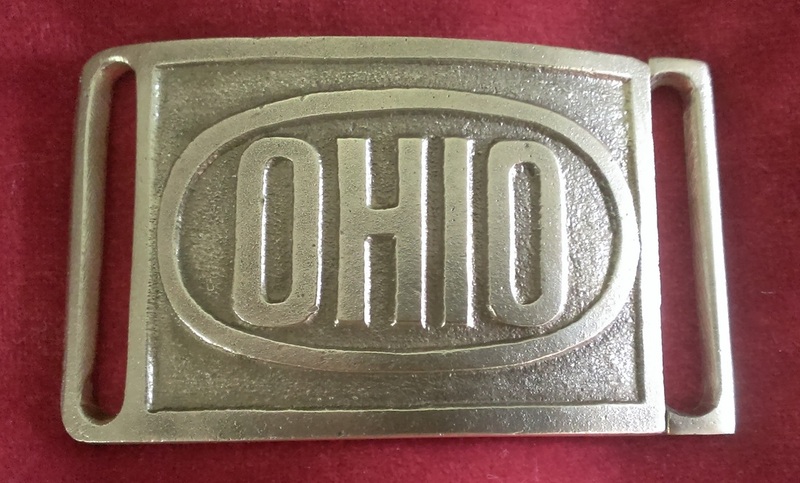 Ohio Sword Belt Plate on the original leather belt with hangers. 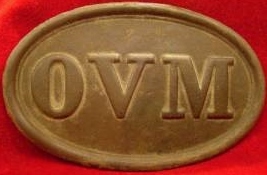 My first dug plate in 1955 was this O.V.M. "Ohio Vol. 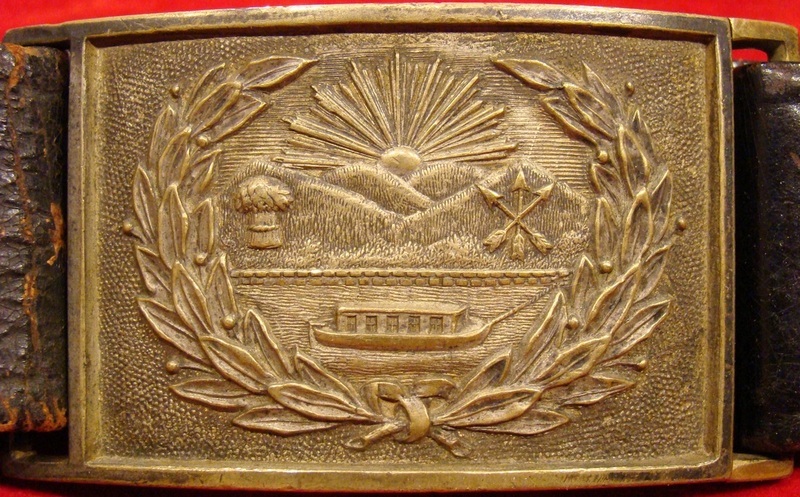 Militia" cartridge box plate. 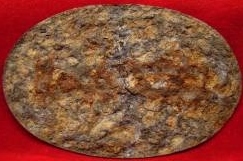 Found this plate hunting arrowheads in a field near the Grapevine Bridge, first Cold Harbor 1862 Seven Days Battle. This was the first of many and my interest in Civil War history. 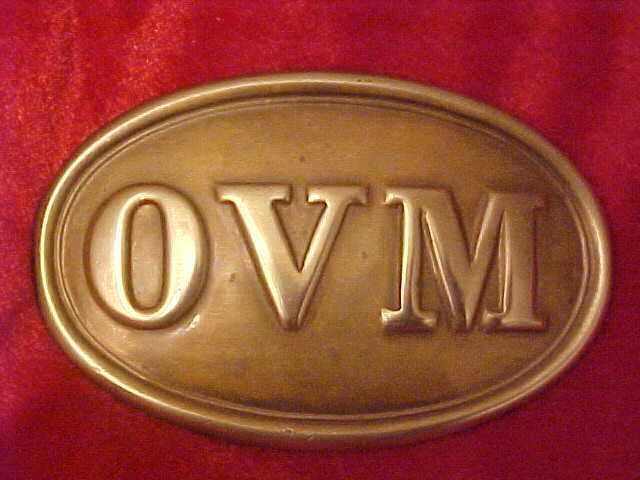 The back of the O.V.M. is what I saw first. Face down in the field. Cartridge box hooks rusted away but a beautiful brass face. Seems so long ago.